This volume of the Human Molecular Genetics series covers such genotype-phenotype correlations as clinical and environmental aspects, gene structure, expression, and mutation. Also discussed are models of certain diseases and future prospects for treatment and prevention. 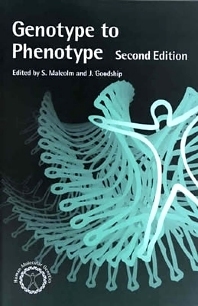 This book provides the reader with a basic overview of the physical expression of genetic disease before discussing in detail the most recent research and therapeutic developments. Medical geneticists, molecular biologists, oncologists, neurologists, genetic counselors, general practitioners, and research students.